using RJ-45 Cat5e or Cat6 twisted pair cable. 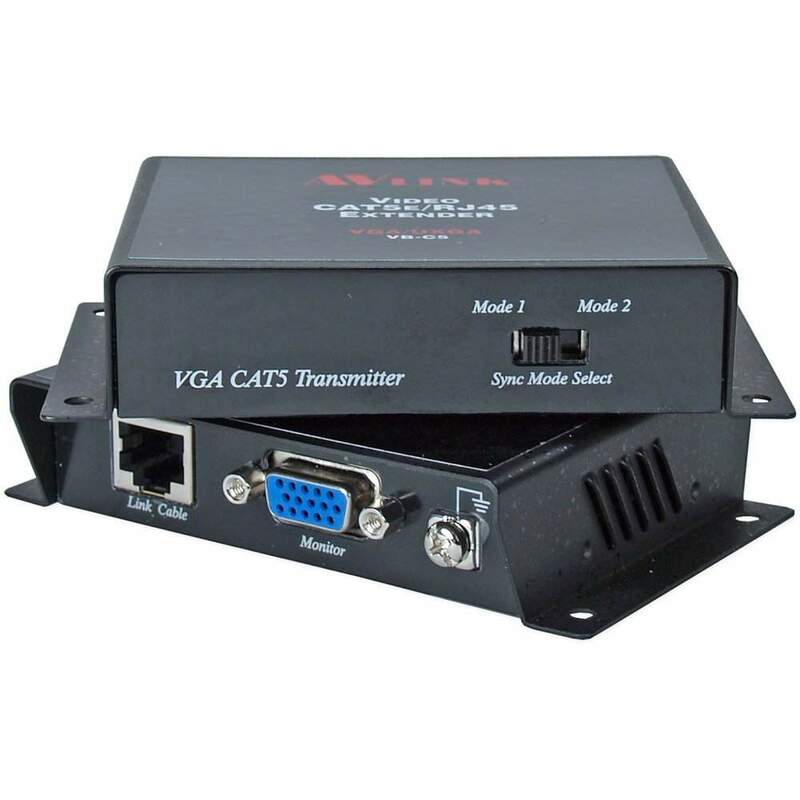 This VGA Extender Kit comes with a transmitter and receiver and is self powered providing equalization to optimize crystal clear picture quality. Supports high resolution of 1600 x 1200 up to 50 meters or 164 feet and 1024 x 768 at 100 meters or 328 feet. This unit is wall mountable and provides cable grounding when used with STP shielded twisted pair cables and comes with hardware screws to install.